At The Pure Company, we get excited about almost every holiday. Valentine’s Day however, is a hit or miss for most of us and our significant others. All the pressure of what to get, what to do, what to wear, and whether you’re even celebrating is just too much. But what’s not controversial? Hosting a little Galentine’s Day party with the favorite women in your life. Any good celebration starts with a boozy beverage, and mimosas are synonymous with a girl’s weekend get together. Create your own mimosa bar and let your girls build their drinks. Put out decanters with various juices like pomegranate, orange, and pineapple juice. Have rosemary sprigs or berries available to garnish the drinks! 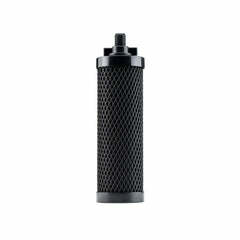 For ladies that prefer to sip water, fill up your Carbon Filter Water Decanter and let it filter out any impurities. Set aside various fruits to let guests flavor their freshly filtered water. How the room smells can make all the difference. 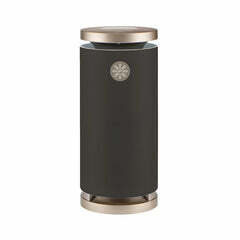 Choose a natural essential oil to diffuse from your Portable Air Purifier in your party space. 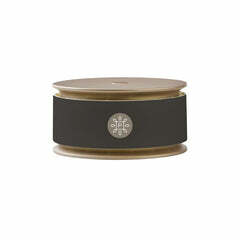 Blends like Quiet and Fresh are rich and warming while scents like Lemon and Eucalyptus are fun and invigorating. A party is only as good as its snacks. Don’t let your girls leave hangry! Browse Pinterest for fun Valentine’s themed food to munch on. Salad bars, waffle bars, and taco bars are all guaranteed to be a hit with your friends. We’ve all been to a party that had a playlist that shouldn’t have been played. (There’s a time and place for 90s throwback.) Get some input from your gal pals when putting together your party playlist. Also consider the age range of ladies there. Are you mom and aunt in the mix? Throw in a few songs from their favorite era that everyone can groove to. A mix of classic love songs, songs you can dance to, songs to sing along with, and top 40 hits are sure to please. Before your guests start arriving, be sure to turn on your Large Air Purifier to remove any strange smells wafting through your home. (Sure the crab dip tastes amazing, but preparing it was another story.) We’ve all hosted people from time to time and we don’t know a single woman who doesn’t worry that her home smells less than stellar. An air purifier neutralizes the bad stuff so all you and your guests smell is the good stuff!